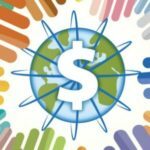 SEC’s Crowdfunding Proposal: Will it Work for Small Businesses? On Thursday January 16, 2014, at 10:00 A.M., the Committee on Small Business Subcommittee on Investigations, Oversight and Regulations held a hearing titled, "SEC's Crowdfunding Proposal: Will it Work for Small Businesses?" The hearing was held in Room 2360 of the Rayburn House Office Building. This hearing examined how the Securities and Exchange Commission’s (SEC) JOBS Act of 2012 proposed rules are expected to affect both the crowdfunding model and small businesses seeking to use it as a source of capital.